Happy Find… Me Wanty! Me Wanty! Ever hear about 3D printing? 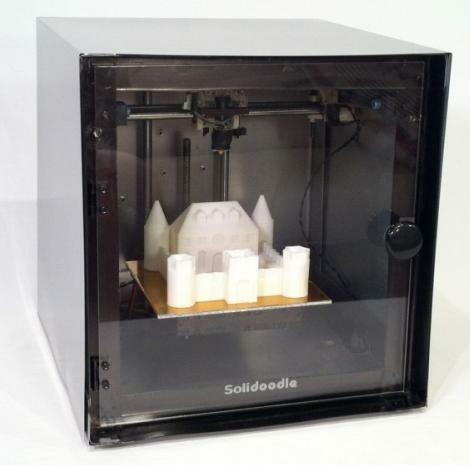 This particular product is called the Solidoodle 2, and it “printed” that plastic skull! What will I do with such a product, you may wonder. I’ll “print” frickin’ toys! That I made up! How cool is that? !